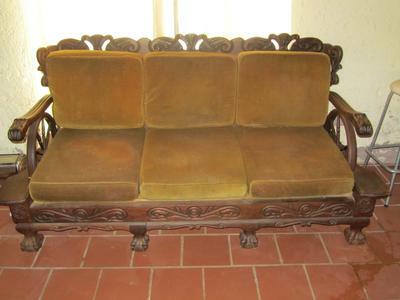 A solid wood Ball and Claw lounge set in great condition. 1 three seater and single chairs. Still has original cushions.